"Eine Kleine Nachtmusik"! 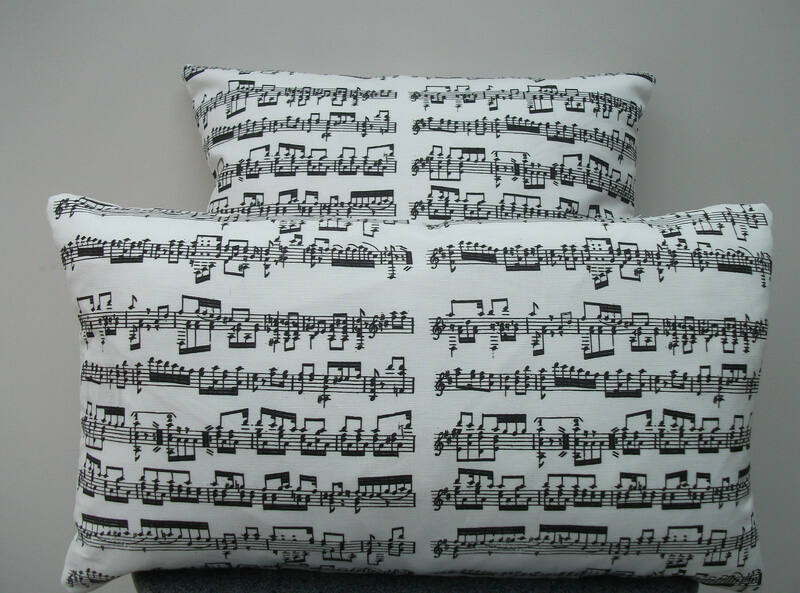 A little night music ! 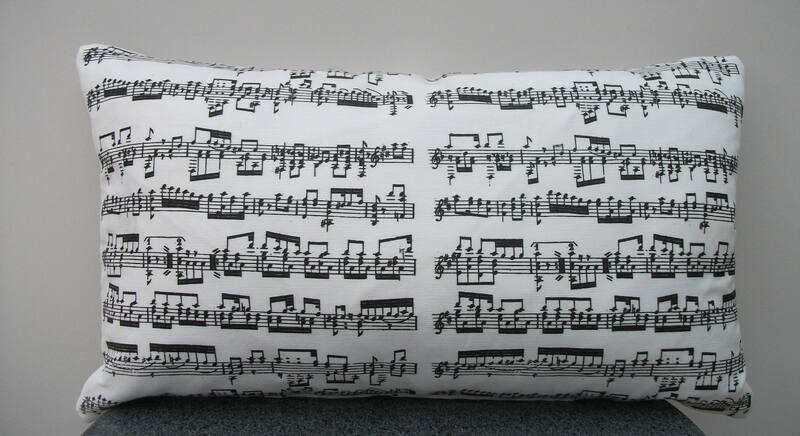 This is a stunning, eye-catching pillow handmade from high quality upholstery fabric. 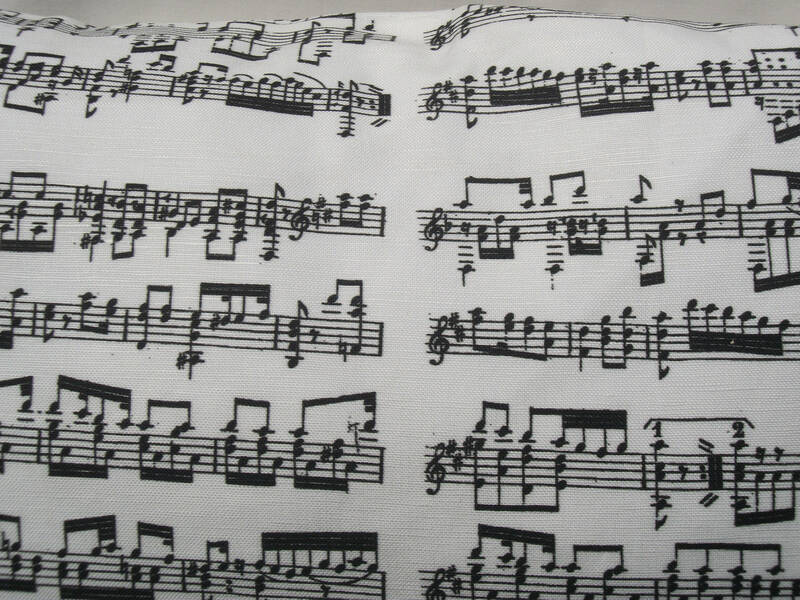 It has a music score print on both sides of the cushion so that it is reversible. There is a concealed zip, placed at the bottom of the cushion so that it can be displayed from either back or front ! 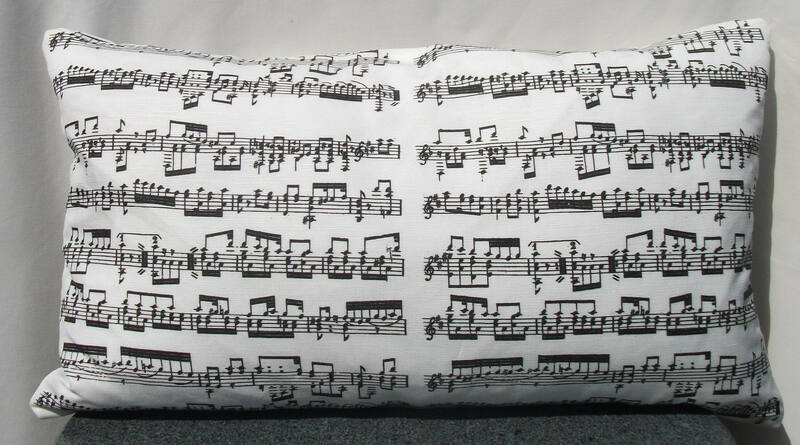 It comes in 4 sizes: 14 inch , 16 inch or 18 inch squared or as a 19 x 11 inch rectangle- please state option at checkout. Can't decide? 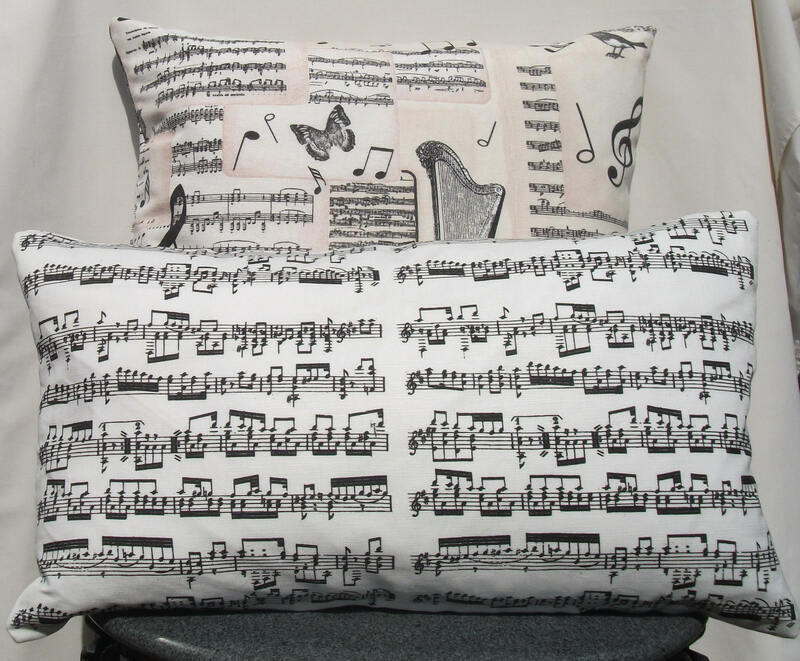 Why not choose one square and one rectangular one - they look great together ! 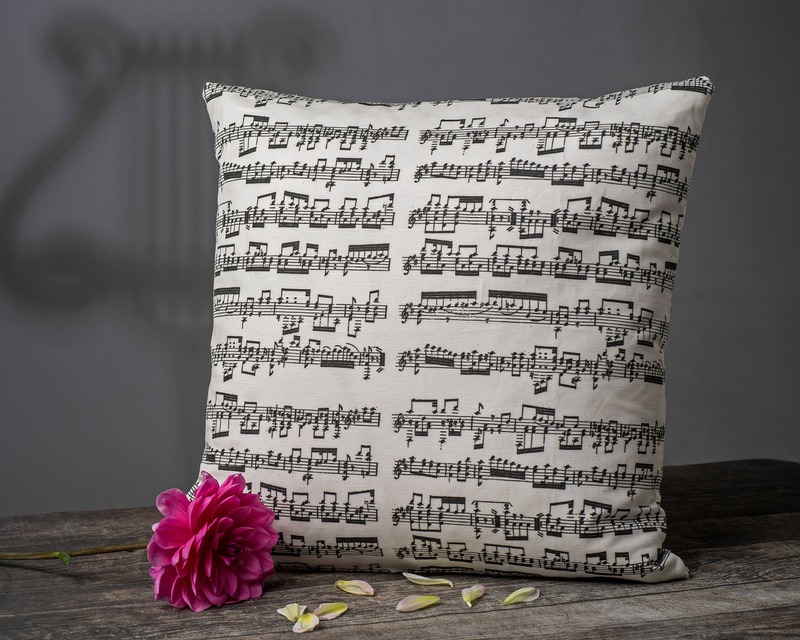 The duck-feather filled cushion insert plumps up to shape quickly and gives a beautiful, rich luxurious feel. 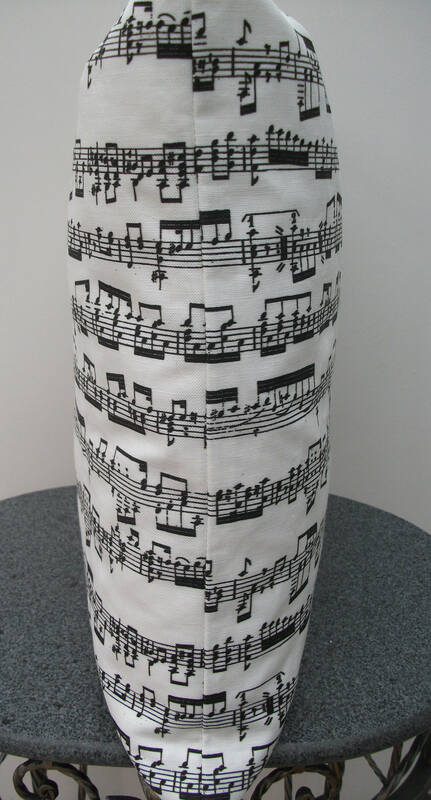 A fabulous quality gift for a musician or any music fan ! PLEASE NOTE : Flowers are not included! 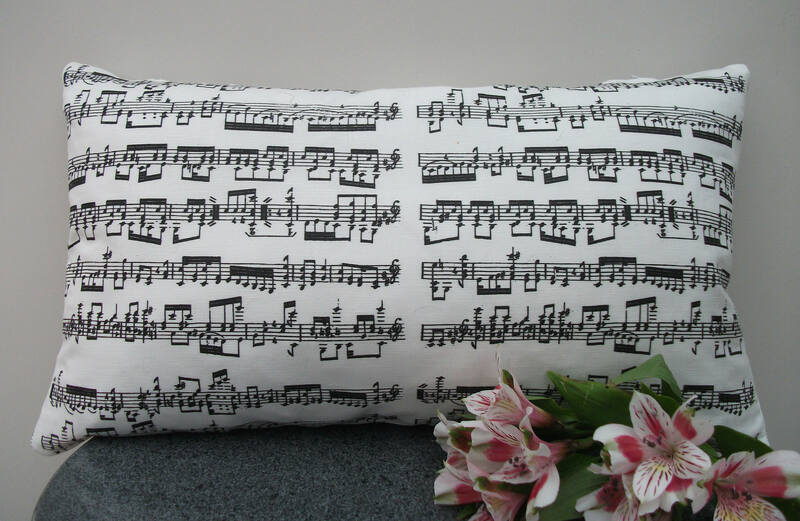 Have you seen the other beautiful music themed pillow that is available?